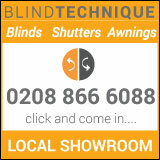 This allows for a business or organisation logo with selected image on the left of the directory page and text. Opposite on the right hand side of the page, the following are included: Address, Telephone, Fax plus Email. Website Links will be provided where required, to a client’s website and email. When a client has Twitter or Instagram we re tweet their posts from time to time.. The cost of this advertising method is an affordable £60 a year. This type of advertising has available a template with set areas for Title, Logo, Telephone, Fax, Website and Email details and text. In addition there is a designated space within which to display up to four additional images. Links will be provided where required to a client’s website and email. When a client has Twitter or Instagram we re tweet & create posts from time to time. The cost of this advertising method is just £120 a year. Starting at just £350. These provide a permanent advert image located on the right or left columns and show on every page of the Desktop version and at the bottom of the window on Mobile versions. This links through to either the clients own website or their directory page, if one is taken, on Pinner Local.The cost of a permanent advertisement is negotiable for twelve months.